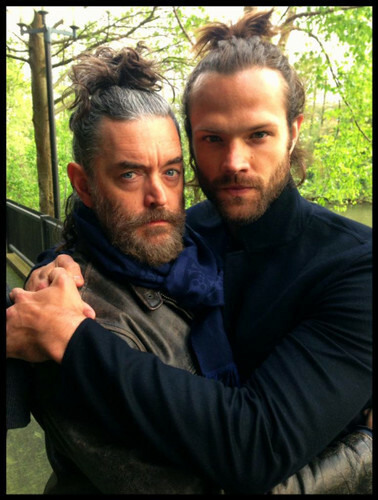 Jared Padalecki and Timothy Omundson. . Wallpaper and background images in the supernatural club tagged: photo supernatural sam winchester jared padalecki timothy omundson cain. This supernatural photo might contain invernadero and jardín interior.